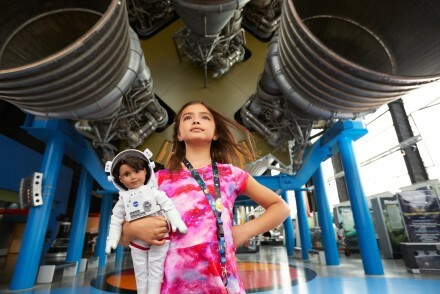 A fantastic new guide, launched by Curved House Kids, details how and why we should be lifting our girls up and encouraging them to further their STEM education. The Inspired By Space: Engaging Girls In STEM guide (pdf) features brilliant activities created by combining the classroom experience of teacher Claire Loizos with Curved House Kids materials and learning methods. The guide was released this week to mark the 26th anniversary of Dr.Helen Sharman’s mission launch, the first British astronaut! European Space Agency (ESA) astronaut Tim Peake and the UK Space Agency to create the Principia Space Diary, marking the launch of Tim Peake’s Principia mission in 2015. The programme simplified the complex subject of space for a primary-aged audience using a series of activities that followed the story of Tim’s mission. In its first year, the Space Diary reached over 60,000 students and 38,500 printed books were distributed to schools for free! 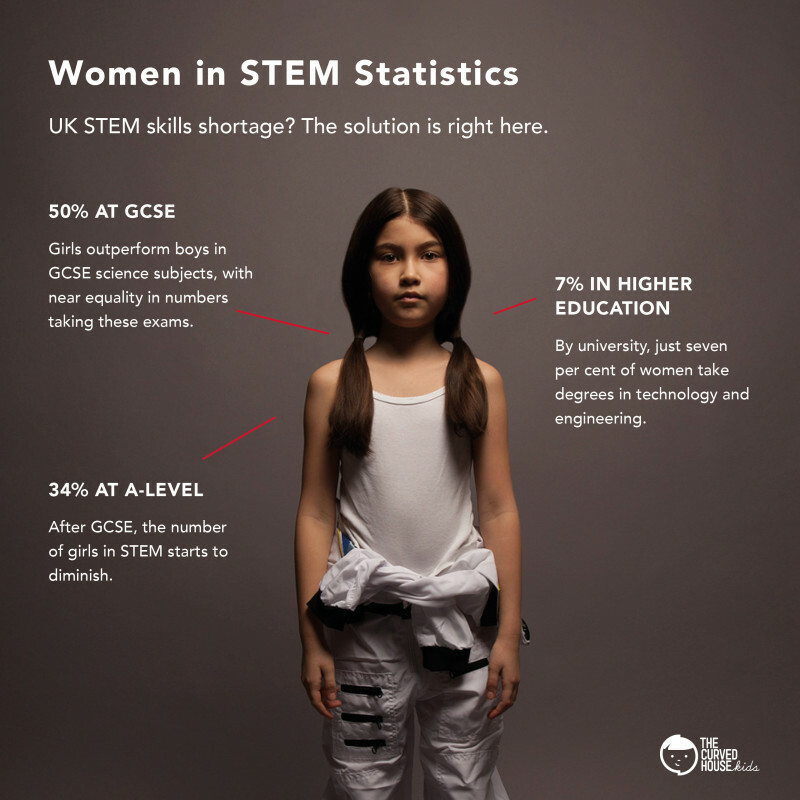 As we’ve discussed at Rocket Women previously, the project highlights that the UK has a STEM skills crisis across all sectors, with an estimated shortage of 69,000 recruits a year. 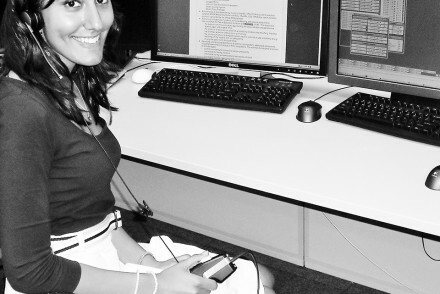 At the same time, only 7% of women are choosing STEM careers. 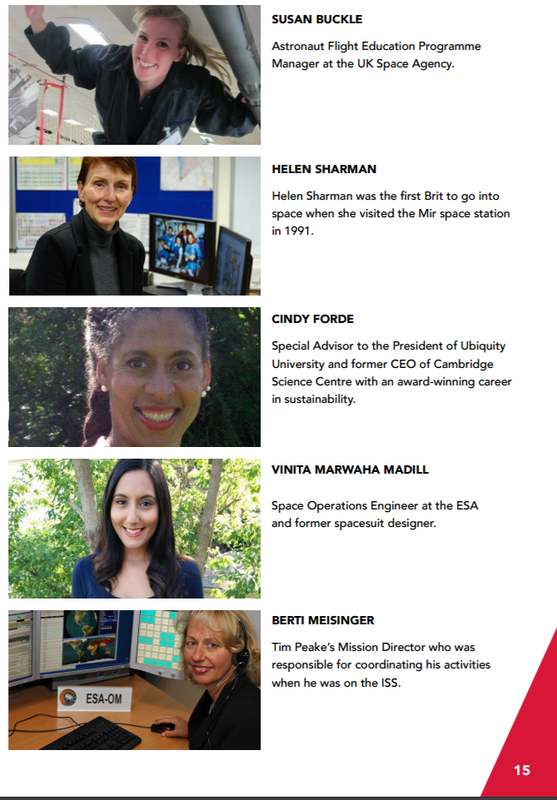 I’m excited to be featured in the guide alongside Dr.Helen Sharman, the first British astronaut! Twenty-six years ago, astronaut Dr.Helen Sharman beat 13,000 applicants to become the first British astronaut and the first woman to visit the Mir space station! 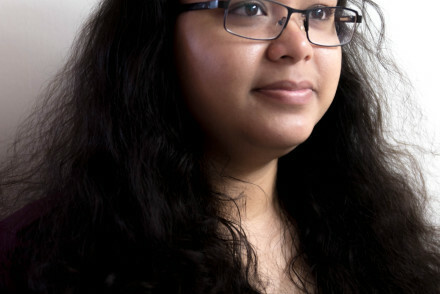 Her mission was and is a remarkable moment for the UK and for women in STEM, along with a timely reminder of the need to encourage girls into STEM careers. Personally, Dr.Helen Sharman was hugely influential in inspiring me to consider a career in the space. At the age of six, I remember learning that Helen Sharman was the first British astronaut & had travelled to space a mere two years before. That moment changed my life. To now be featured alongside her & such inspirational women is an amazing honour! Two and a half decades on from her flight, achievements like Dr. Helen Sharman’s are unfortunately still all too rare. This fantastic guide aims to change this and encourage the next generation to pursue a fulfilling career in STEM. 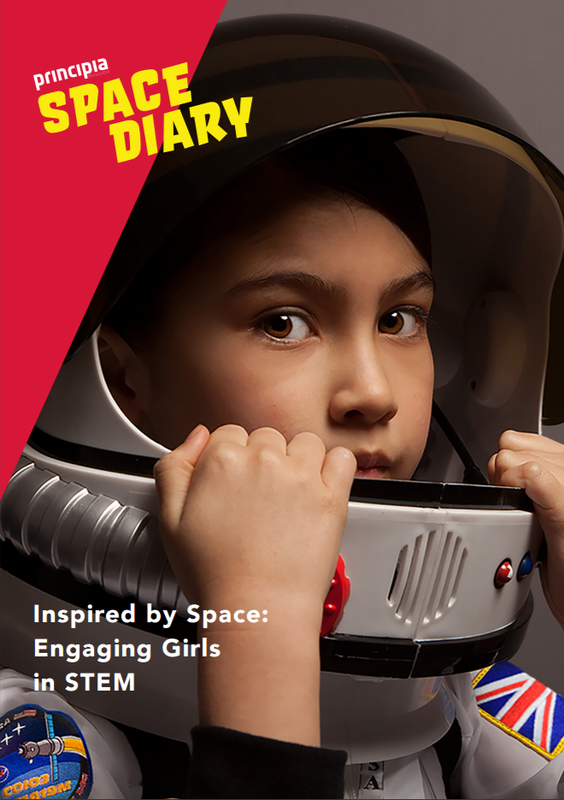 The Space Diary by Curved House Kids and the UK Space Agency is now a ready-made programme that schools can use to deliver the science curriculum with secondary links to literacy, maths and numeracy, design and technology, geography, PE and more. To date, over 90,000 students have registered in schools and home education settings across the UK!